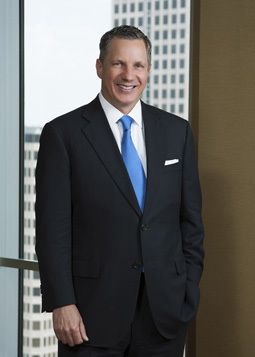 Mr. Parrish, the partner-in-charge of the Dallas office, has extensive trial, litigation and arbitration experience representing a wide variety of clients, both foreign and domestic, in diverse areas of the law. Take Nothing Judgment on behalf of Lloyd’s broker in suit alleging damages in excess of $20 million affirmed by Court of Appeals for the Fifth District of Texas at Dallas. Insurance Alliance v. Lake Texoma Highport, LLC and Bowood Partners, Limited, 452 S.W.3d 57. Obtained Directed Verdict in products liability suit against manufacturer. Lead counsel in Federal Court in products liability case involving four fatality fire. Case settled after three days of trial. Lead counsel in numerous cases on behalf of overseas insurance brokers. Lead counsel in shareholder derivative suit on behalf of foreign shareholders in U.S. litigation. Lead counsel on behalf of lender in breach of contract case where $1.9 million settlement achieved. Obtained Judgment N.O.V. in suit awarding damages against real estate professional. Successfully pursued multiple cases involving unfair competition claims, achieving equitable and legal relief for clients harmed by theft of trade secrets, breach of nondisclosure agreements, and breach of covenants not-to-compete. Admitted to practice before the United States District Court, Northern, Southern, Eastern, and Western Districts of Texas. “The insured’s failure to read the policy and how our two nations, separated by a common language, deal with this issue of potential contributory negligence” to be held at The Griffin Insurance Technical Forum in London, England on January 9, 2019.